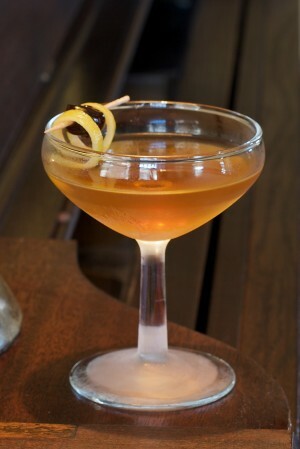 With well over a century under its belt, the Bijou cocktail already enjoys a long history. Yet, even though most bars will have all of the ingredients, you probably won't find many bartenders that know how to make it—despite how simple it is. If you make a few cocktails yourself, you too might already have what you need. The most challenging part is getting your hands on some Green Chartreuse. If you don't already have reason enough to own a bottle, here's one more. Today, our Drink of the Week makes another wonderful excuse to own some, and for me, it represents the perfect all-spirit cocktail to transition into spring. Bijou means "jewel" in french, and looking at the images of this cocktail, you can understand why it was called by that name. The recipe appears early in printed references, and Harry Johnson's Bartenders Manual was probably the first. 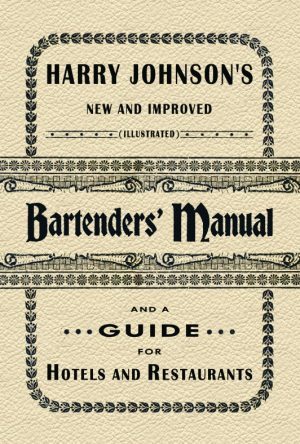 Originally published in 1882, Johnson's guide provides a fantastic glimpse into the mixology trade of yesteryear devoting nearly a third of the book to bar management practices. He gives fascinating insight into every relevant topic imaginable, from how to handle various ingredients to uncorking bottles and collecting money during a busy rush. He even provides suggestions on how to "obtain a situation" or rather, how best to land a job as a bartender. If this behind-the-scenes depiction of pre-Prohibition social life isn't interesting enough, the rest of the guide will keep you busy with recipes and illustrations from the golden era of cocktail history. 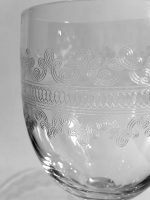 Of course, one of the recipes Johnson describes is the Bijou cocktail, a drink that is so easy to make and so delicious, it's surprising it isn't more popular today. Nevertheless, we do our best at Summit Sips to promote the good ones—no matter how old or obscure—and to our senses, this one qualifies. Add ingredients to a mixing glass and stir with ice. When properly chilled, strain into a chilled cocktail glass and garnish with a cherry and lemon twist. It's that simple. Gin, Italian vermouth and Chartreuse in equal proportions plus a dash of orange bitters. It wouldn't be a proper cocktail without the bitters. I'll admit that Chartreuse isn't an ingredient that appeals to everybody, and this drink has a healthy dose. I find it interesting that Harry Johnson specifies Plymouth gin on page 257 where this recipe appears. Plymouth is often regarded today as both a brand and a style that falls nicely on the lighter, sweeter citrus side of London dry gins. However, the strong herbal notes from the Chartreuse reinforced by the sweet vermouth will allow even the boldest, most flavorful gins to succeed in this drink. I used Beefeater, but you can use any gin you own. When you first combine the ingredients and start stirring with ice, the herbal aroma from the Chartreuse immediately fills the air. You definitely want to stir this drink, not shake it. It's the Bijou after all, and it won't look very jewel-like if you shake it and introduce air bubbles and a layer of foam on the surface. That goes for any cocktail with all-spirit ingredients. Chilling is important when you stir, but so is dilution from the ice. Don't be afraid to crack a few cubes with your spoon before dropping them in. the extra surface area will shed more water and ensure your finished cocktail loses some of its edge. Nobody wants a cocktail that's watered down, so we serve this one up, without ice. Yet, unless you also take time to achieve proper dilution, the heat from the alcohol will obscure the flavors. Before straining, I like to lift my spoon and let a drop or two land on the back of my hand. A quick taste confirms the proper dilution, and for other drinks, this technique allows you to test the balance of ingredients. Garnish your Bijou with whatever you like, but Johnson suggests a cherry or an olive and a squeeze of lemon peel. The idea behind the lemon peel is to catch the oils from its skin. This is the basis of the lemon twist, and an attractive way to achieve it is to cut a long strip from the peel using a channel knife. This tool is often incorporated into lemon zesters and is used to carve long, narrow grooves into the peel of whole citrus. Do this over the cocktail so that as you cut, oils from the zest spray onto the surface of the drink. Then, wrap the long twist around a stick or a toothpick—again, over the drink to catch the oil. Rub it around the rim of the glass and finally, drape the twist over the edge or wrap it carefully around a cocktail cherry. The strong herbal character from the Chartreuse is a great prelude to spring. As a spirit-driven cocktail, the Bijou retains the warmth and complexity that works so well in cocktails during the colder months, but it hits your senses like a cool, spring day. The long finish lingers in your mouth after each swallow and invades your nasal passages with wild intensity. The sweet vermouth provides some depth as the gin helps to elevate this potent combination to your nose and around your tongue. The orange bitters fills in the gaps as it should, and depending on your garnish, lemon oils give you the sense of fresh citrus without actually needing any of the juice. 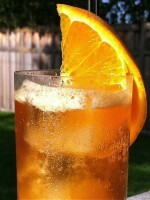 Sip it slowly and enjoy its gemstone sparkle like the the soothing blaze of the setting sun. Perhaps tomorrow will bring more songbirds, flower blossoms and the promise of a long, hot summer!